As we get ready for more than 685 companies to report their March quarter results this week, there are apt to be a number of key data points for our Digital Infrastructure, Digital Lifestyle, Rise of the New Middle Class, Guilty Pleasure and Cleaner Living investing themes. 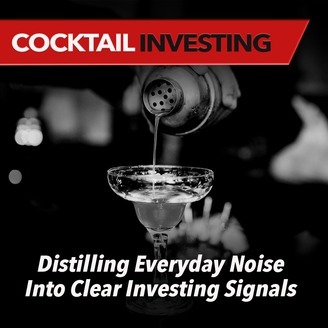 On this episode of the Cocktail Investing Podcast, we walk through which ones we’ll be digging into with respect to those themes and the other 5 investing themes. 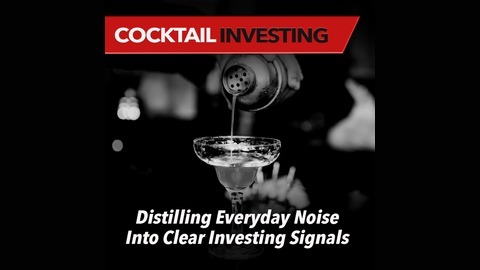 You may think smokes and beer, but when Altria (MO), Boston Beer (SAM), Starbucks (SBUX), Nokia and Chipotle Mexican Grill (CMG) report, our thematic lens sees data, data, data and more data. Coming into the week, roughly 15% of the S&P 500 companies have reported, which means the vast majority will be doing so on the coming weeks. As we close this week, 45% of the S&P 500 will have shared their March quarter results and updated their guidance, which will set the stage for what’s to come at us in the following weeks. We also get our first look at March quarter GDP this week, and based on the data had during the quarter, there is no question it will show a slowing US economy compared to the second half of 2018. Even so, it’s going to look better on a relative basis to the other three global economic horsemen that are China, Japan and the eurozone.